This synergistic diffuser assemby has some of the smallest and finest bubbles available in any diffuser means that you get the most lifting of water column towards the surface and less pressure loss during operation. These diffuser assemblies require less PSI and so are perfect for linear air pumps in most ponds! 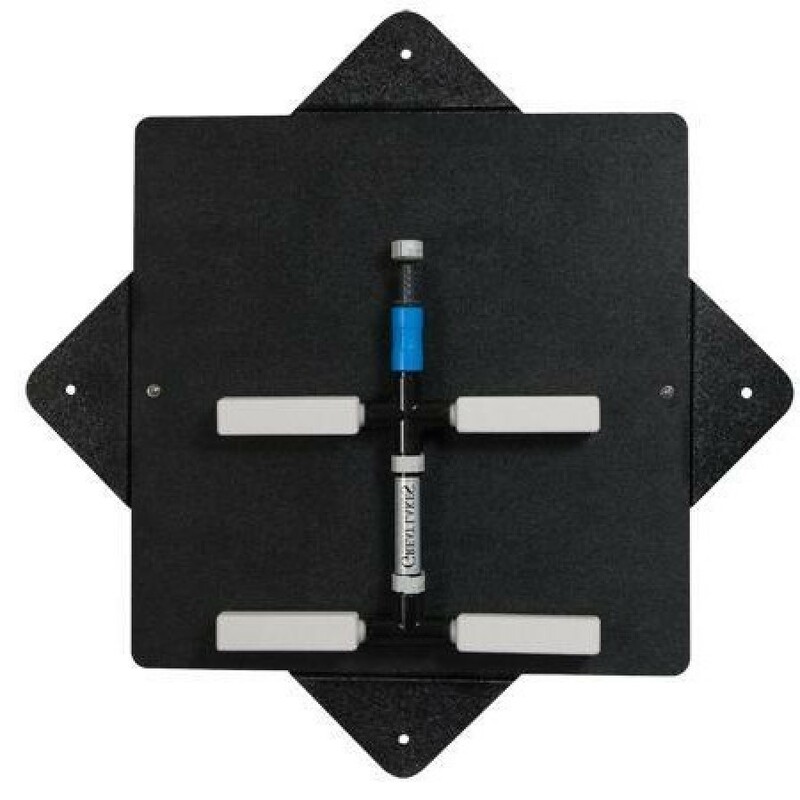 Can also be used with rotary vane compressors, rotary screw pumps and high pressure blowers or piston compressors for a simple and easy aeration system. The flat base has holes for attaching mooring ropes if you wish to add a float to the diffuser for future retrieval or removal or re-placing of the diffuser. You can also tie a float a few inches below the surface so you don't have to see the float. The dark color of the sediment-preventing base ensure the diffuser assembly remains invisible. 4 x 6" medium-pore airstones. Airflow 1.5 - 2.4 CFM. Use in ponds and lakes under 12 feet deep. Equipped with 1/2" barbed connector to fit your 1/2" or 5/8" airline. These weighted diffusers lay flat upon the lake or pond bottom so disturbed sediments is minimized and airstones do not become fouled or covered in muck due to the underlay which keeps the airstones out of the sediment. 6 x 9" medium-pore airstones. Airflow 3.0 - 7.0 CFM. Use in deeper ponds and lakes over 12 feet deep. 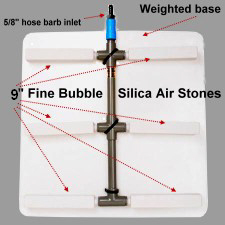 Features six 9" micro bubble silica airstones on a weighted base. 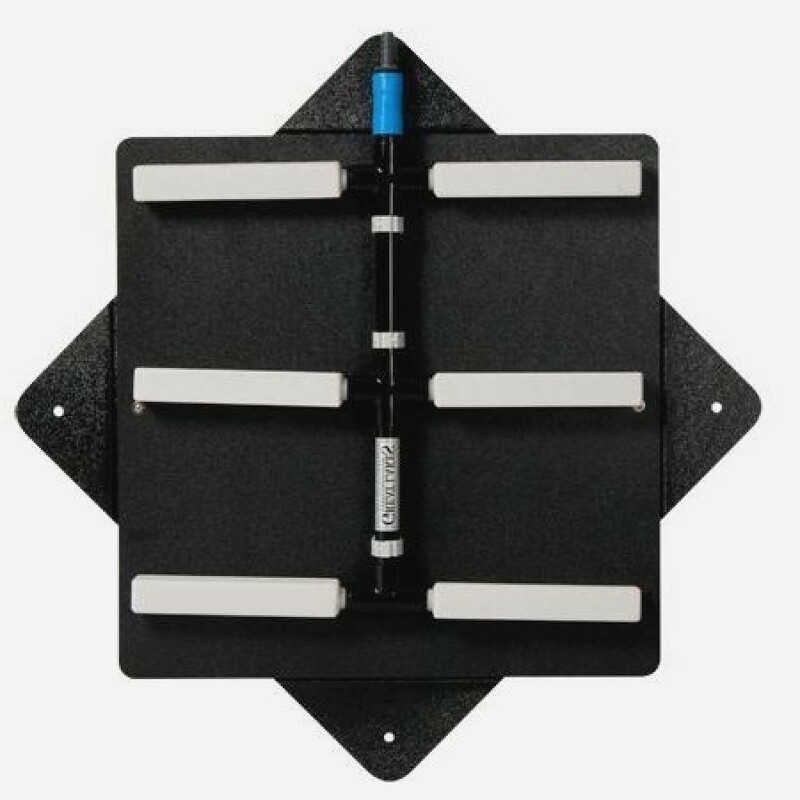 The most extreme aeration and circulation available.Equipped with 1/2" barbed connector to fit your 1/2" or 5/8" airline. 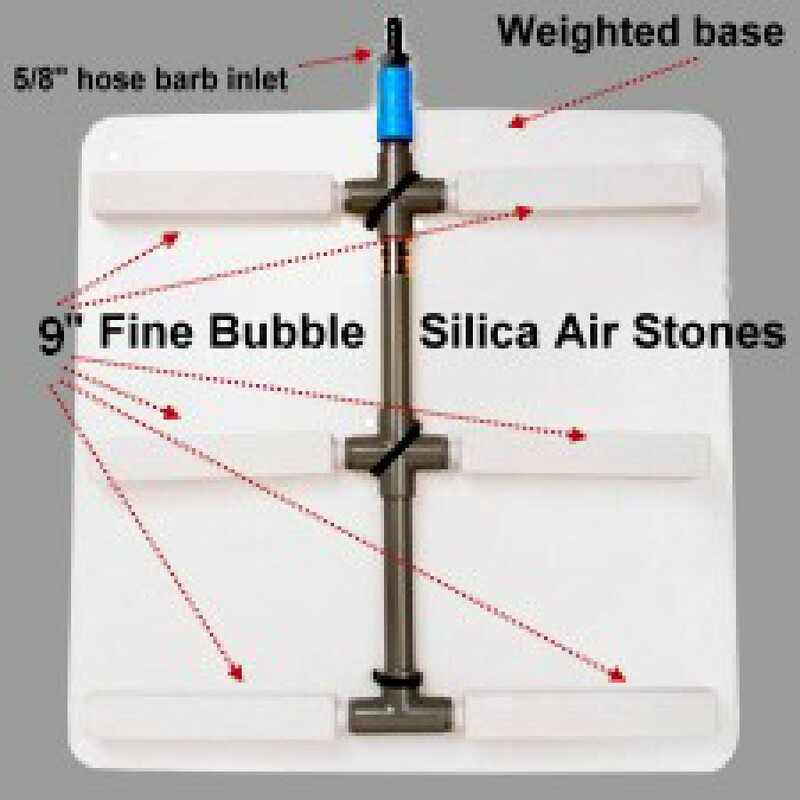 These weighted diffusers lay flat upon the lake or pond bottom so disturbed sediments is minimized and airstones do not become fouled or covered in muck due to the underlay which keeps the airstones out of the sediment.